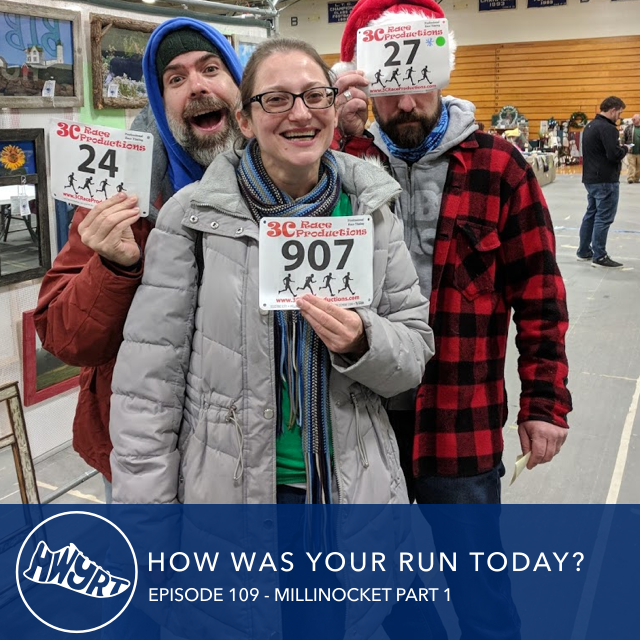 Episode 109 - "Millinocket 2017 - Part One" — How Was Your Run Today? Episode 109 - "Millinocket 2017 - Part One"
Our weekend in Millinocket, Maine, was so big, so full of love, and so epic that we need to bring it to you in TWO huge episodes. This first episode is all about how Bryan, Peter, and Anna fared in running the half marathon. Then, Andrea helps break down how the AMAZING 2nd Annual Crankle 2K went. Plus, we hear a few of the many interviews that took place at the Moose Drop In post-race.